At the Columbia Arts Academy, every state-of-the-art drum lesson room is equipped with Roland drum kits for our students. Our instructors teach rock, metal, jazz, funk, blues and many other styles of drumming, and challenge every student with technical exercises specifically designed to improve their speed and comfort. Beginning students need only their drumsticks and a notebook, and all that’s needed for practice at home is an inexpensive drum pad. Drummers are encouraged to bring in their favorite drum parts to learn. Many of our students are band members who play in local clubs and churches. 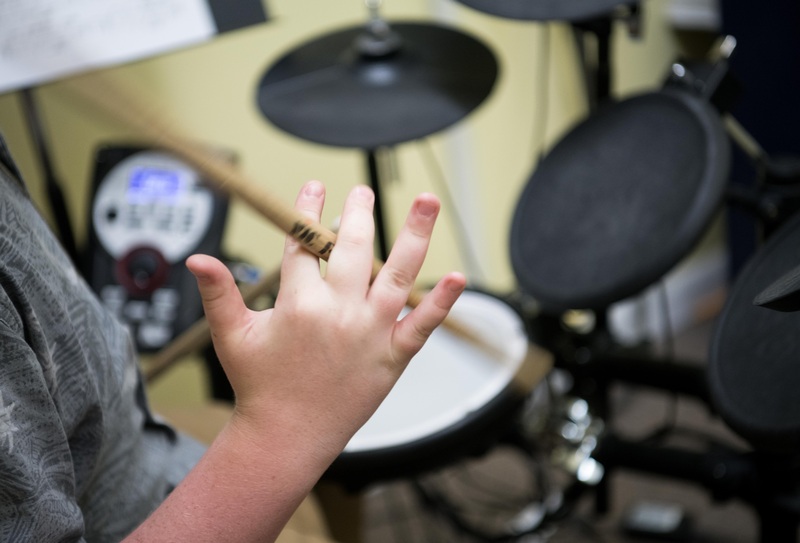 What’s the #1 reason to choose the Academy for drum lessons? 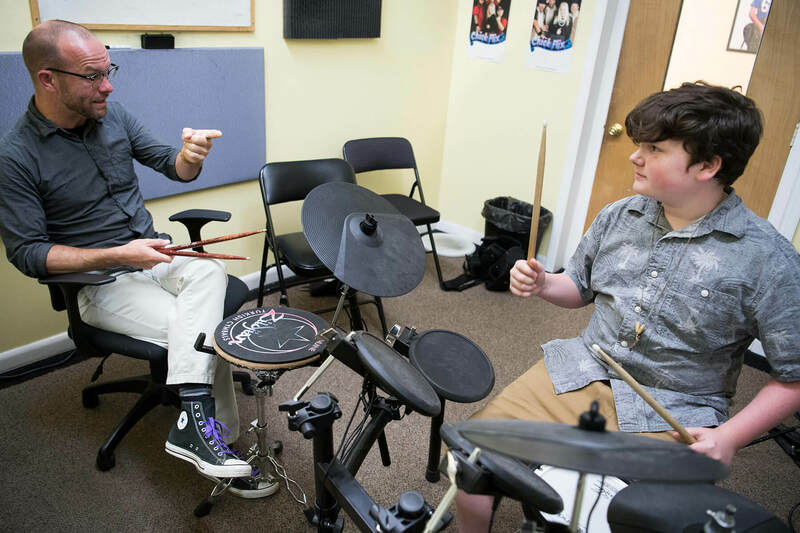 Our drum instructors are warm and friendly, and get to know each student and parent on a personal level. We work with you to craft a lesson plan that fits your individual needs and the student's favorite type of music. Whether you're playing in local bands, a seven year old taking their first lesson, or a fifty year old returning to the drums after many years, we’ll set goals to achieve your musical aspirations. ‍What styles of drumming do you teach? Our drum instructors teach all styles, from rock and metal to pop, jazz, funk, country, blues and classical. How qualified are your drum instructors? Our drum faculty are graduates of such prestigious institutions as New York University, Indiana University, the Berklee College of Music, Oxford University, the University of North Carolina School of the Arts, South Carolina Governors School for the Arts, the Atlanta Guitar Institute and Columbia College. Many have toured the US and Europe, and bring over 25 years of professional performance and teaching experience to your lessons. What will I learn from drum lessons at the Academy? Our instructors challenge our students with wide-ranging technical exercises designed to improve speed and comfort. Drum language can be complex, and theory is encouraged. Students can bring in their favorite drum parts to learn in their lessons. Do I need to purchase a drum kit to learn the drums? Definitely not. 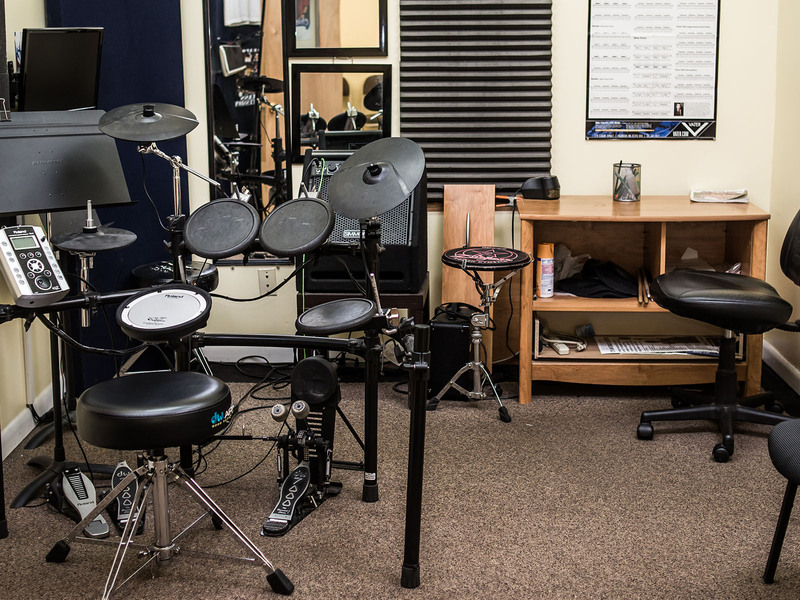 Our professional, soundproof drum lesson rooms in Columbia are equipped with a Roland drum kit for our students. Just bring your drum sticks and a notebook. Beginning students can practice at home with a drum pad and sticks for only $25.